EDIT: At closer look, the style does change too (look at bold etc). 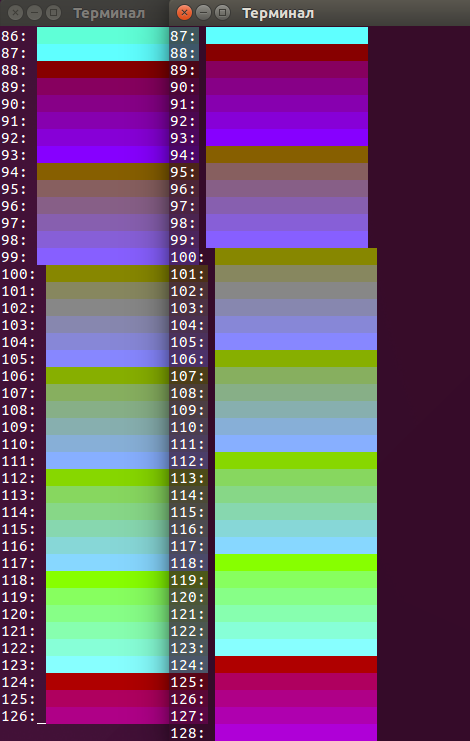 I think tmux should just pass these colors to gnome-terminal, but when why vim changes? Can I fix this? I think gnome-terminal ones are better, and want tmux to use them. For some reason, it was just a Vim issue: when started in tmux, it loaded default colorsheme, but when started from plain terminal, it loaded desert colorscheme but still calling it default when asked via :colorsheme. Forcing :colorsheme default resolved an issue, so I added colorsheme line in my ~/.vimrc and now it's OK. 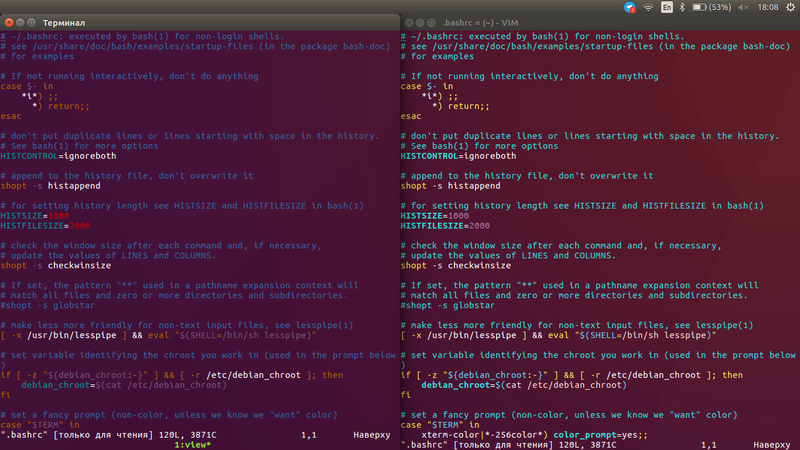 I have no idea why Vim was doing that stuff, but forcing desired colorsheme works fine. Not the answer you're looking for? Browse other questions tagged terminal vim tmux colors gnome-terminal or ask your own question. How do I get the solarized colour scheme working with gnome-terminal, tmux and vim? How and where is $TERM interpreted?